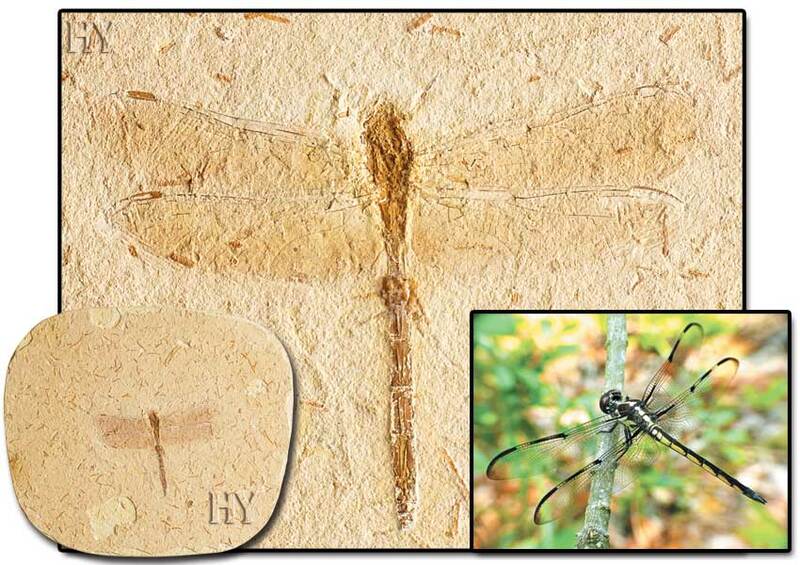 As with the 45-million-year-old fossil in the picture, all the characteristics that mayflies have today can be seen in all the fossil specimens so far discovered and this totally discredits the claims of evolution. 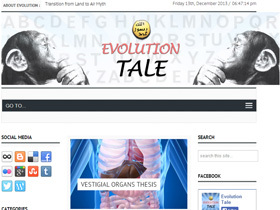 The fact revealed by concrete scientific findings is that evolution never happened and that all life forms are created by Allah, He Who knows the creation of all living things. Scelionid wasps generally live beneath fallen leaves. These wasps are known for the damage they do to other species of insect, especially their eggs. 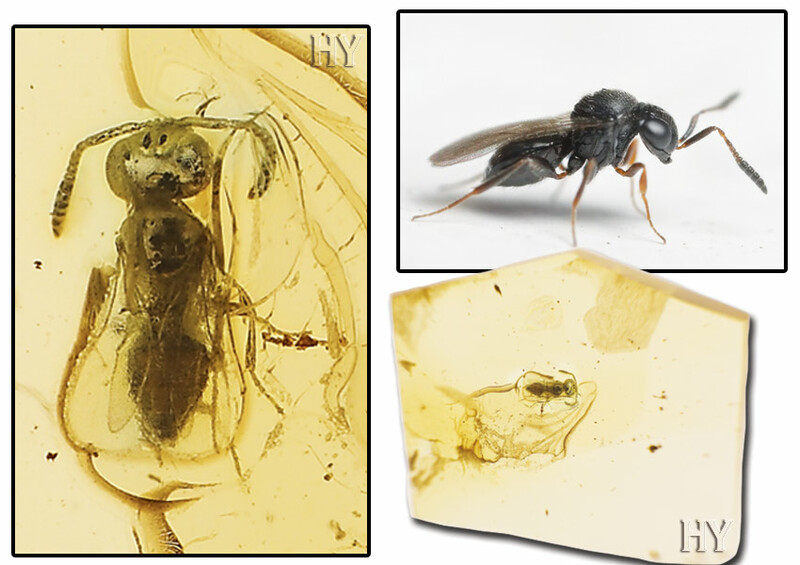 There is no difference between the 50-million-year-old fossil Scelionid wasp in the photo and present-day specimens. Stoneflies, which vary between 5 and 50 mm (0.20 to 2 inches) in length, have two long antennae. Their larvae are used as bait by fishermen. 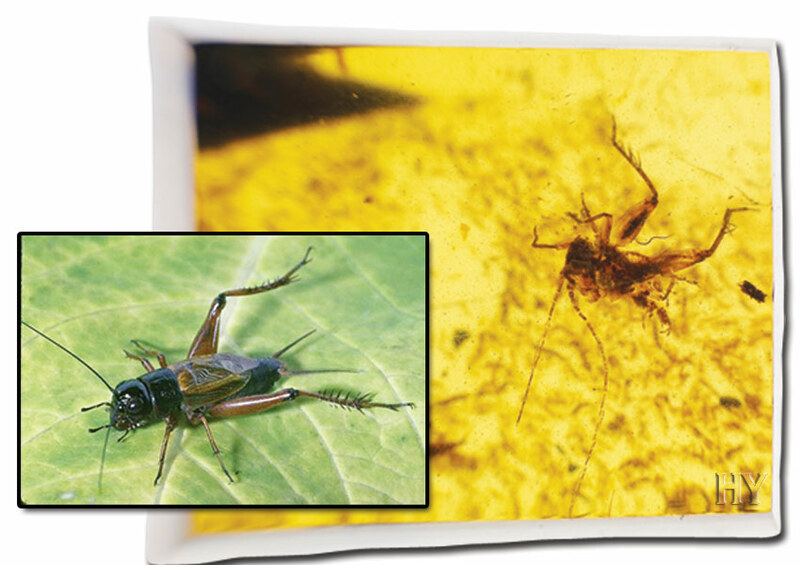 Stoneflies have come down to us unchanged over millions of years. 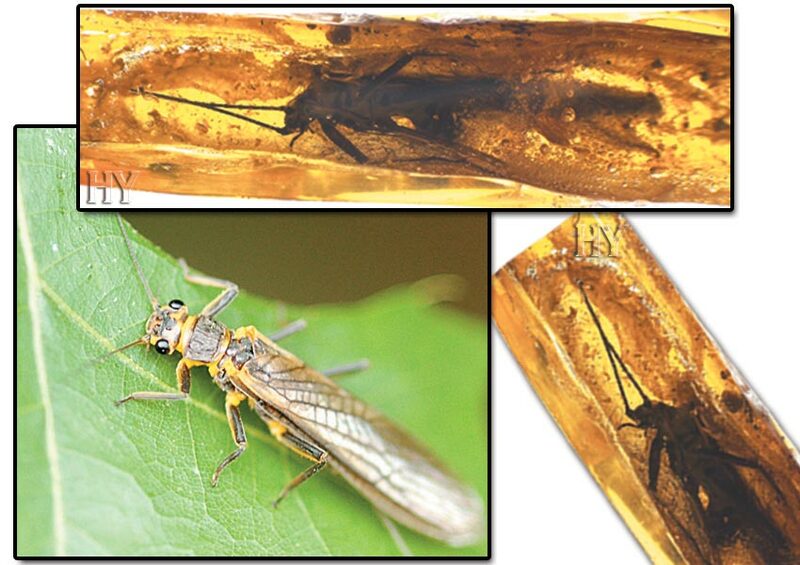 The 50-million-year-old stonefly in the picture is identical to stoneflies living today. 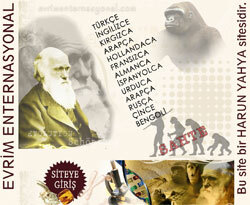 They all show that creation is a fact and that evolution is a myth. 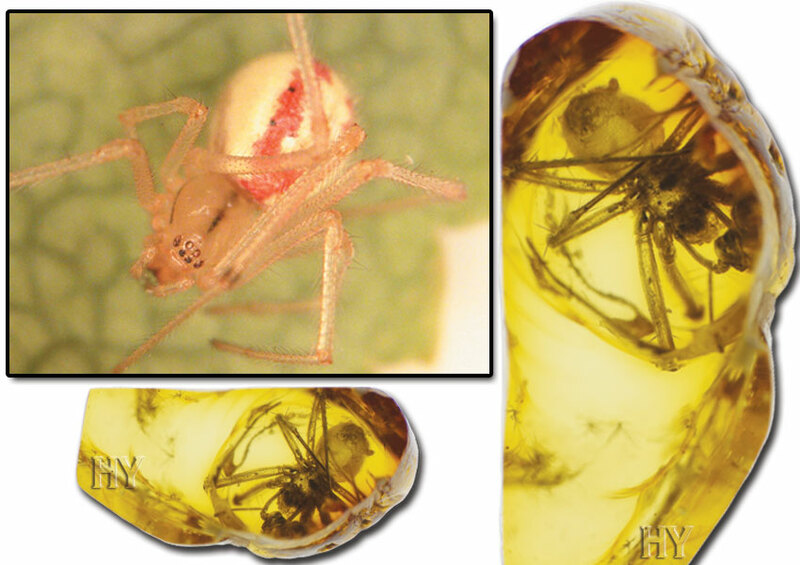 Nearly 40,000 species of spider have been identified in the world. These tiny animals sometimes appear as construction engineers capable of performing perfect calculations for their nests, sometimes as interior designers producing superb designs, sometimes as chemists manufacturing extraordinarily powerful and flexible silk, deadly venom and solvent acids and sometimes as hunters using the most cunning tactics. Spiders have possessed the features they have now since the moment they were first created. 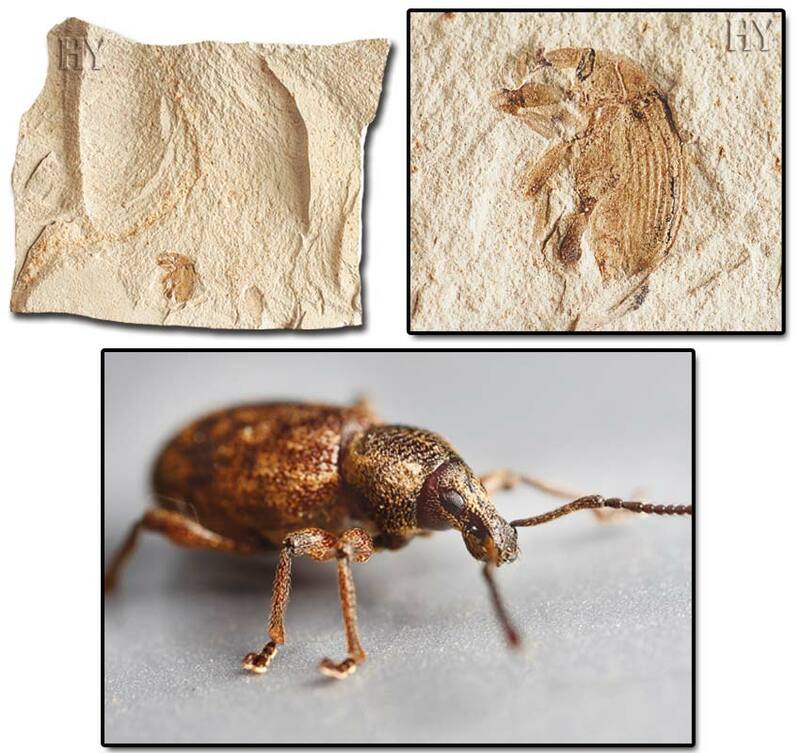 The 50-million-year-old fossil in the picture is one of the proofs of this and shows us that living things never evolved. These glorious creatures are part of the Kustarachnida class, from the order Opiliones. Although they are not themselves actually spiders, they imitate them. In this way, other animals seeing them imagine they have poison sacs and are able to spin webs. This resemblance protects them against predators. These animals, with their interesting appearance, have been living on Earth with the same characteristics ever since they were first created. 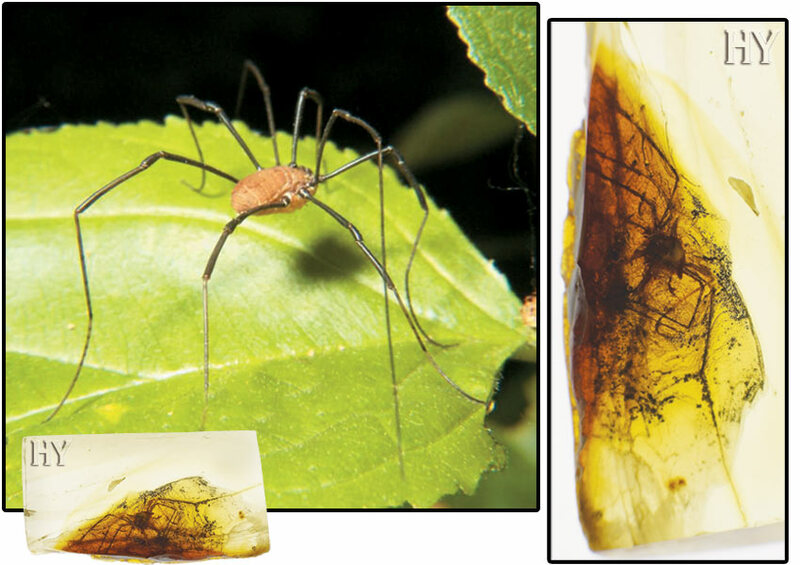 The 50-million-year-old fossil harvestman in the picture is one of the proofs that refute Darwinist claims. 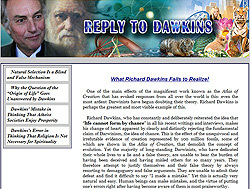 Evolutionists, who maintain that living things assumed their present forms by going through minute changes over a long period of time, are unable to produce a single piece of evidence to support this baseless claim. 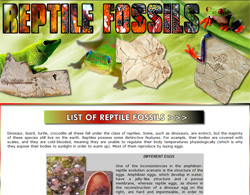 All the fossils found prove that living things have never changed at all. 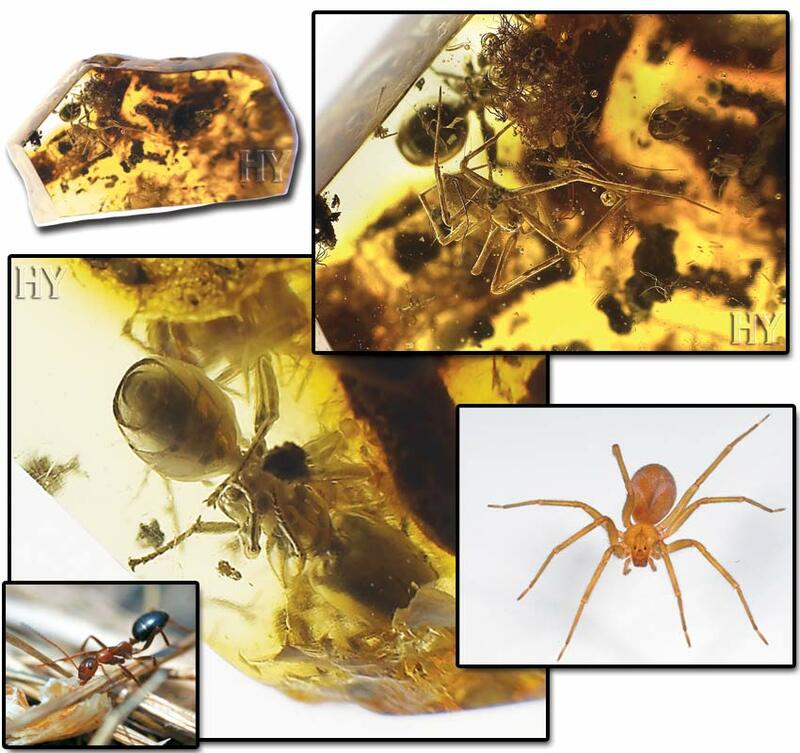 An ant and spider fossilized in the same amber 50 million years ago, as seen in the picture, are proof that Allah creates all living things. There are 1,300 species of this particular animal, which has been living on Earth with the same features for 400 million years. They can survive for two days underwater, and hunt at night. 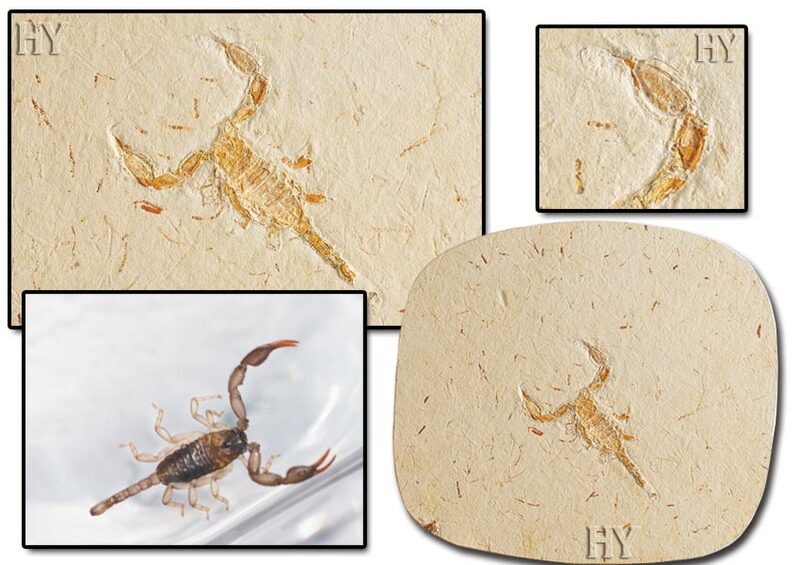 The 125-million-year-old scorpion in the picture has exactly the same characteristics as those living today. Scorpions never evolved; Allah created them, too. 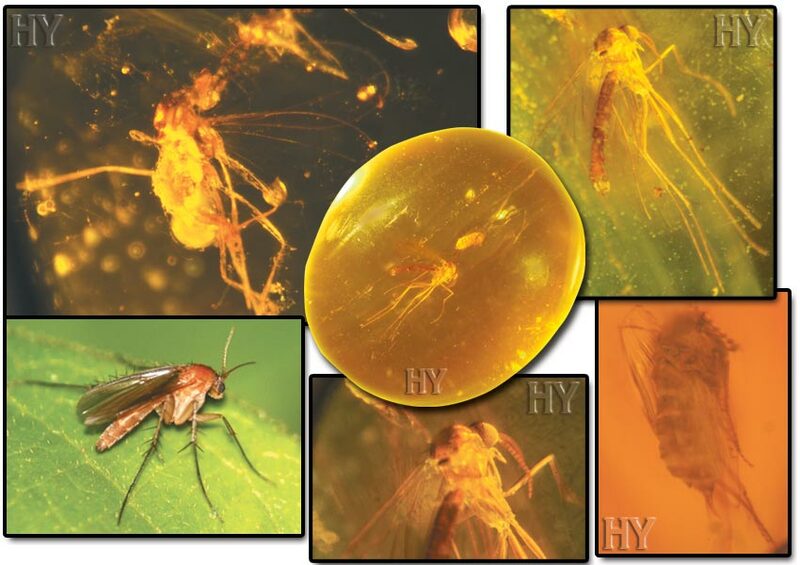 Other living things were also fossilized in amber with the fossil gnat. 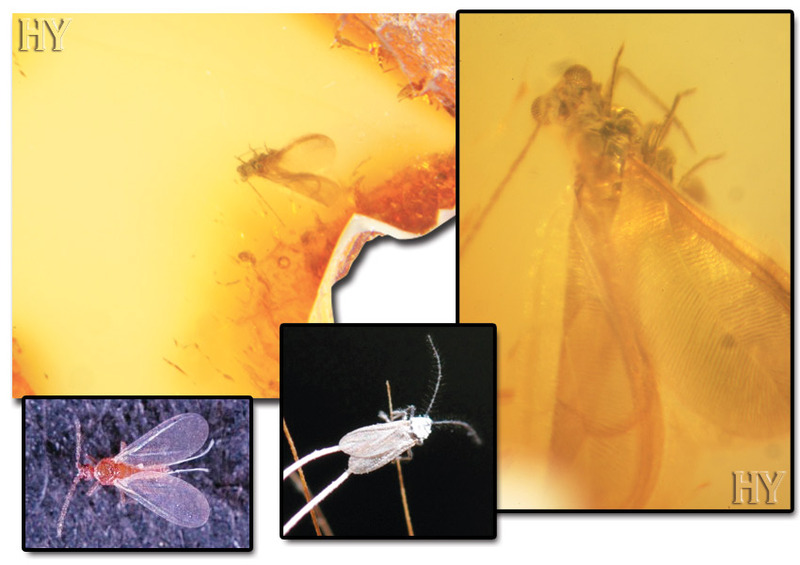 The way the details of all the features in this 25-million-year-old fungus gnat have been preserved is truly astonishing. The gnat’s wing architecture, the fine blood vessels in the wings, the joints in its legs, the fine hairs and the antennae on its head have all come down to us exactly as they were. 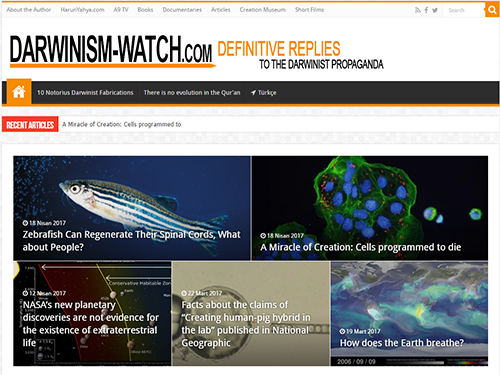 The evolutionist idea that living things develop from the primitive to the more advanced totally collapsed with the unearthing of this 350-million-year fossil. 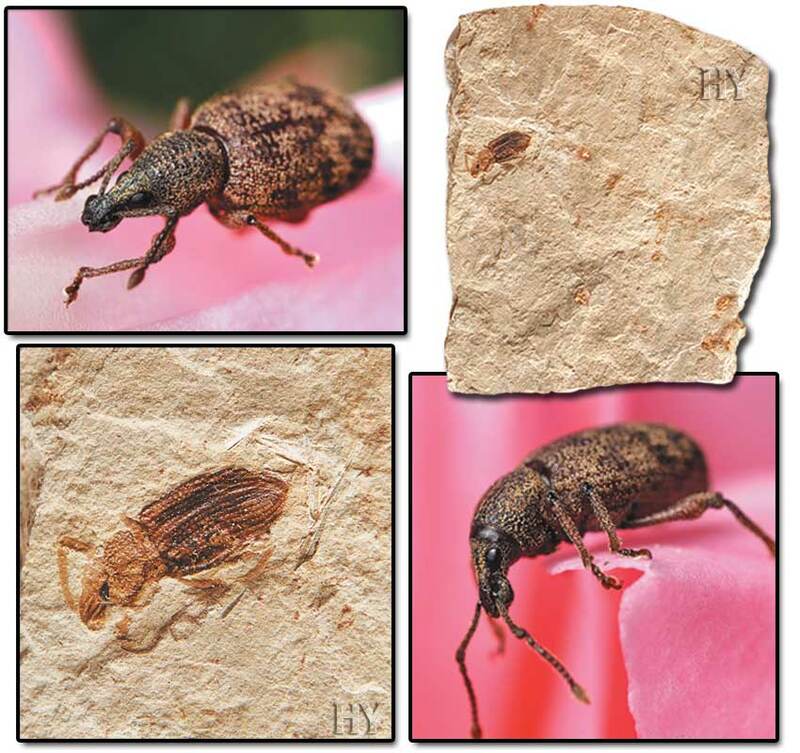 As you can see in this fossil, the gnat possesses a perfect compound eye. By means of the units, known as “ommatidia,” in the eyes of living things with compound eyes, they enjoy 360 degree vision because every ommatidium faces a different direction. For example, houseflies have 4,000 of these small units, female fireflies 300, mayflies 5,100 and some insects have from 10,000 to 28,000, and even as many as 56,000. Each ommatidium has eight sensory cells, and the compound eye can perceive around 100 images per second. It is an obvious fact that living things with compound eyes see much better than humans and various other life forms. Therefore, the fact that animals with compound eyes were living 25 million years ago is proof that living things do not evolve from the primitive to the more advanced. Snout beetles are agricultural pests, and also one of the proofs that refute evolution. These creatures have never changed throughout their time on Earth. Allah created snout beetles in a single moment, as He did all other living things, together with all their characteristics. Allah is the Almighty. Dragonfly larva, also known as “nymphs,” are born in water. In the same way that their adult form has never changed, we can also see that there has been no difference in their larval stages over millions of years. 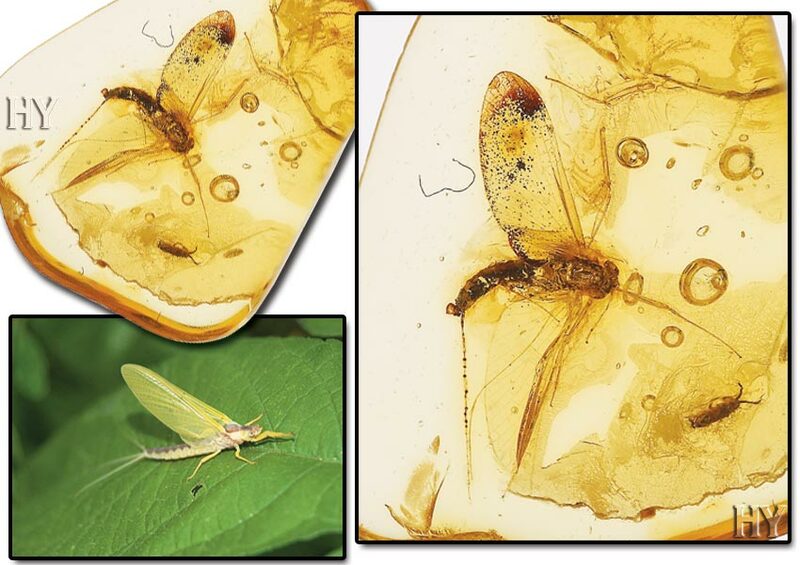 This 20-million-year-old dragonfly larva is absolutely no different to the dragonfly larvae of today. 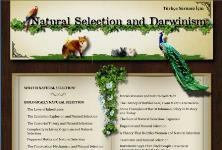 The stages these creatures go through, from birth to adulthood, are all examples of Allah’s immaculate creation. 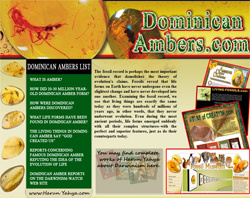 Insects that are members of the class Coleoptera are the most numerous known class of insect. 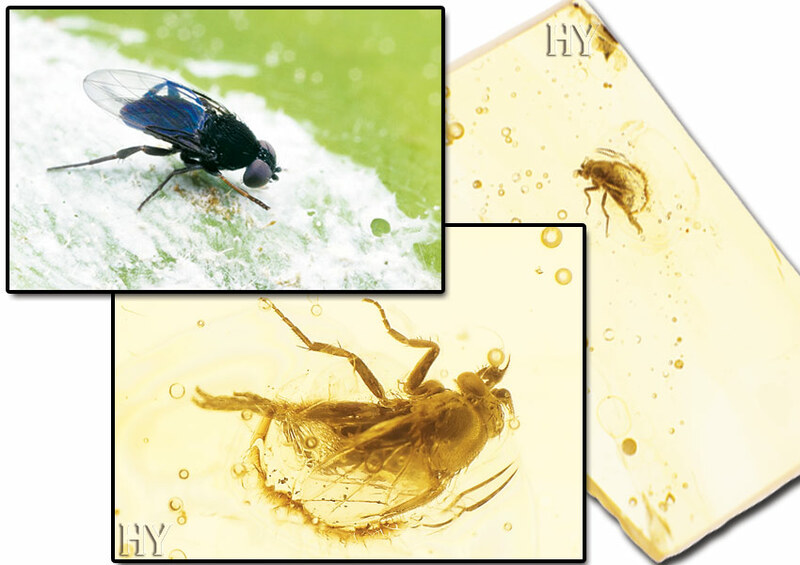 There are some 350,000 species of Coleoptera, ranging from 1 mm to 15 cm (0.039 to 6 inches) in size. 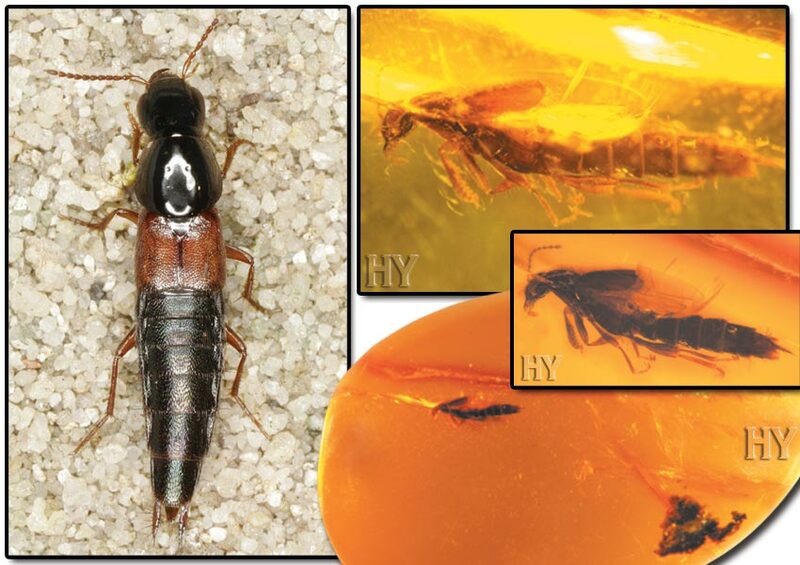 This insect, preserved in amber and covered in a hard shell, is one of the most interesting-looking Coleoptera and has remained unchanged for between 23 and 5 million years. Termites, on the other hand, are members of the class Isoptera and have a flawless social organization. Although they resemble ants in appearance, they are not ants, and there are some 3,000 known species of termite. 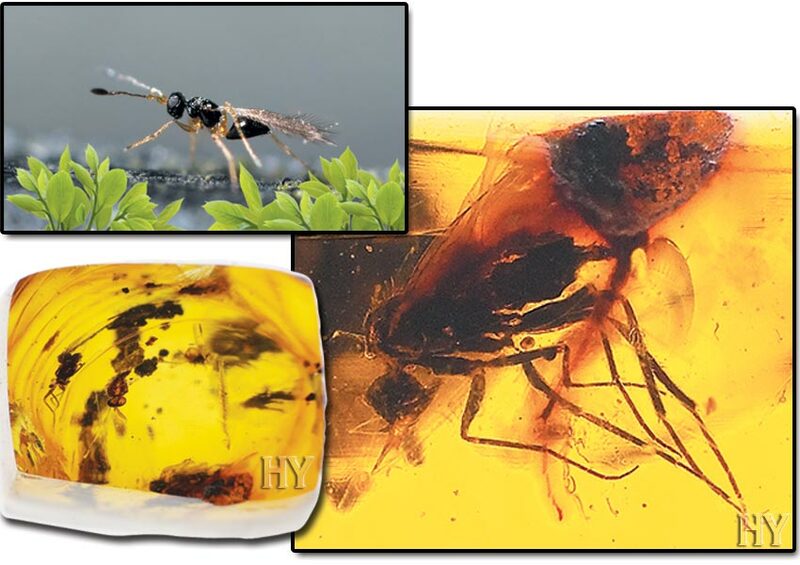 The fact that members of both these groups were fossilized in the same amber from 23 to 5 million years ago, and that each is identical to specimens living today, deals a serious blow to evolution. These bees, members of the family Halictidae, live communally. These tiny bees carve their nests in the form of wells that can be up to 2 meters (6.5 feet) deep. This particular species of bee cannot withstand the cold. 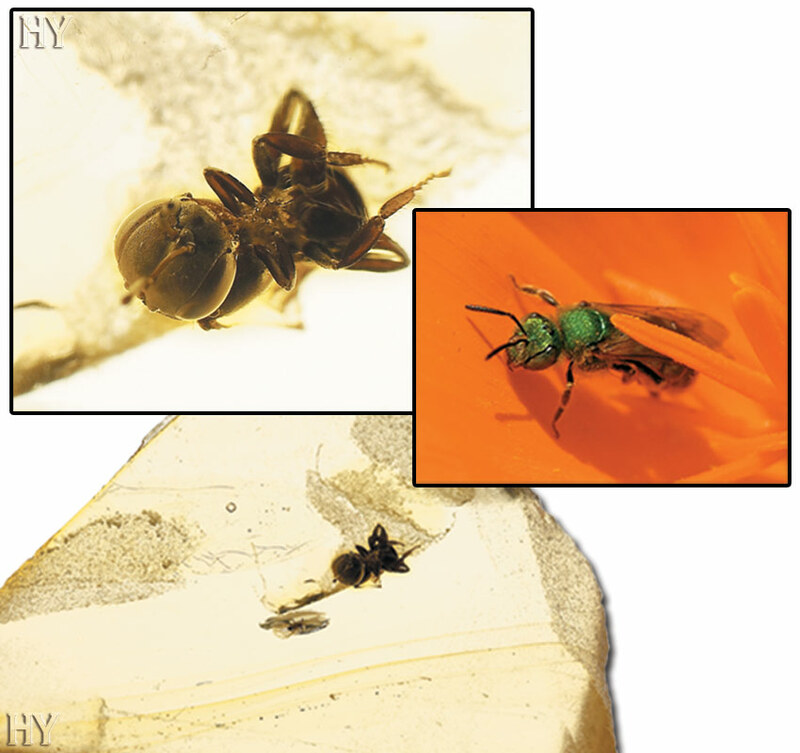 The fact that this bee has been fossilized together with all its perfect organs, and has never undergone any anatomical change over millions of years, proves that the transitional stages alleged by evolutionists has never happened. The fossil record has revealed not one single transitional life form specimen of the kind that evolutionists claim once lived in the past. 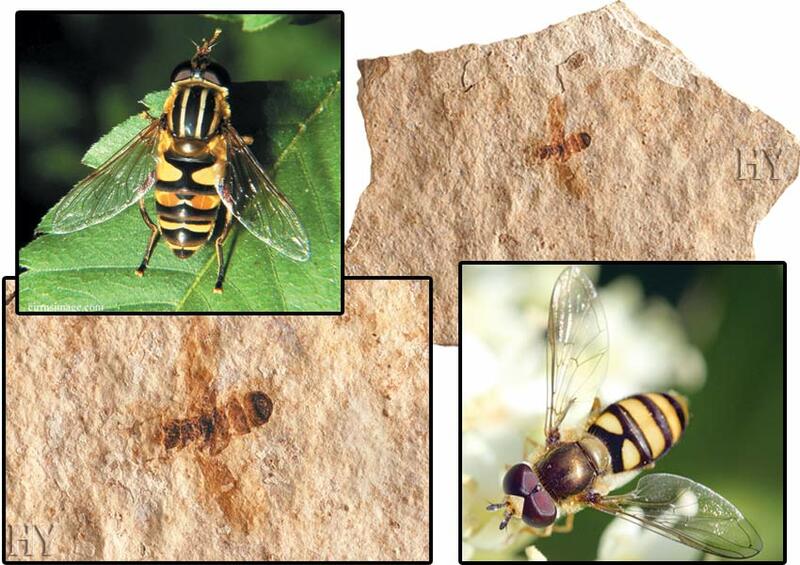 The 30-million-year-old fossil hoverfly in the picture confirms this fact. 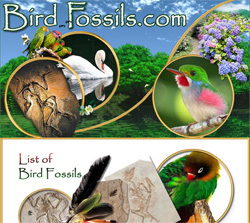 Millions of fossils have to date been unearthed from all across the world and all these fossils show that evolution never happened, that life forms have come down to the present day unchanged, and that Allah creates them all. With their exceedingly complex systems, mosquitoes have characteristics that light the way for science in a number of areas. 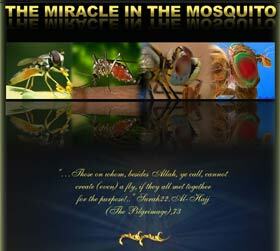 Evolutionists claim that mosquitoes acquired their astonishing features through small, gradual changes. 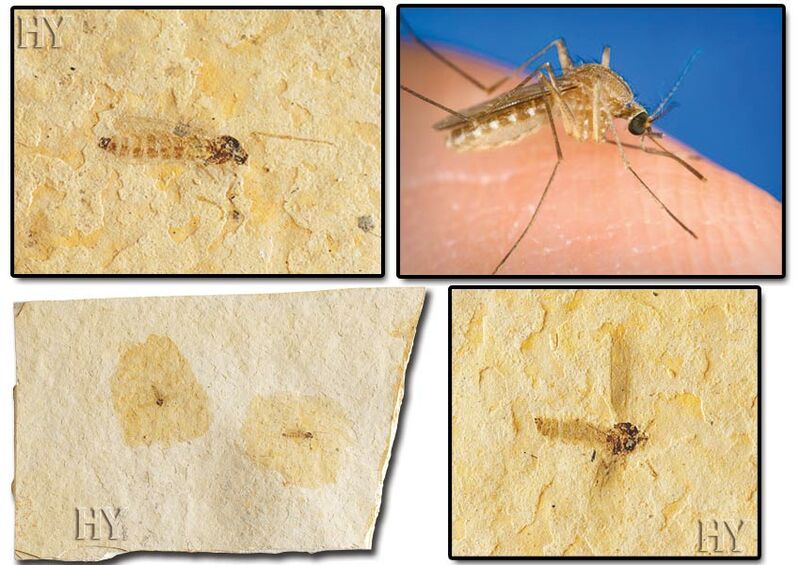 But when we look at this 30-million-year-old fossil mosquito it is immediately evident that there is no difference between those that lived millions of years ago and those alive today. This bright, black species of cricket with a large round head and short wings, a member of the family Gryllidae (true crickets), spends the day hiding in cavities which it excavates itself. These animals are known for the noise made by the males as they rub their front legs together, and they have never changed since the moment they were created. 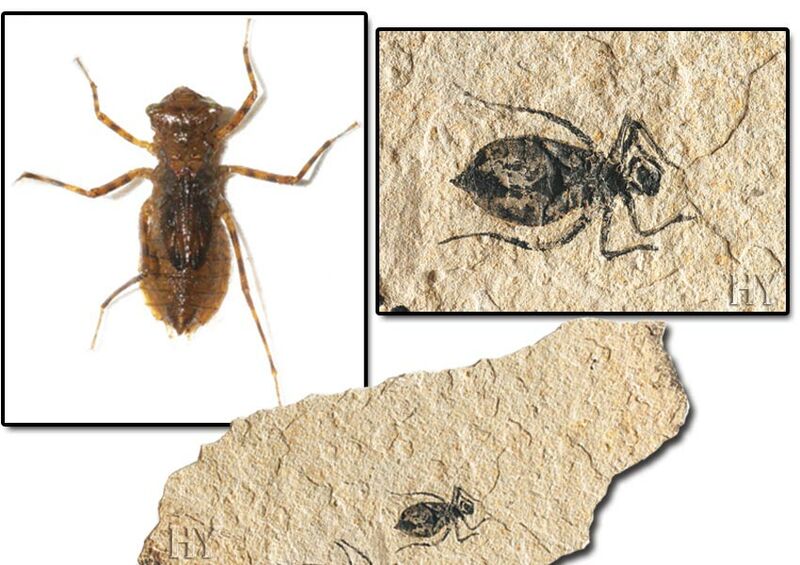 A 100-million-year-old fossil cricket reveals this fact. 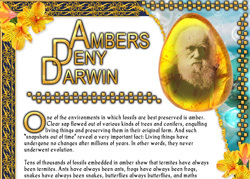 Darwinists have so far failed to produce a single fossil to support their claims. For that reason, they either misinterpret the fossils that are found or else simply resort to manufacturing hoaxes. 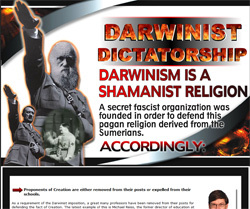 On the other hand, they also hide away millions of fossil specimens that refute their theories. But they can now no longer conceal the truth. 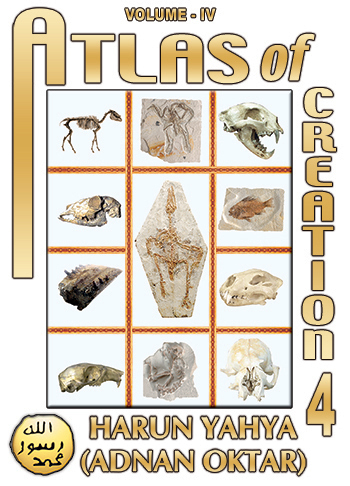 Fossils are some of the most important evidence that life forms do not change, in other words, that they do not evolve. 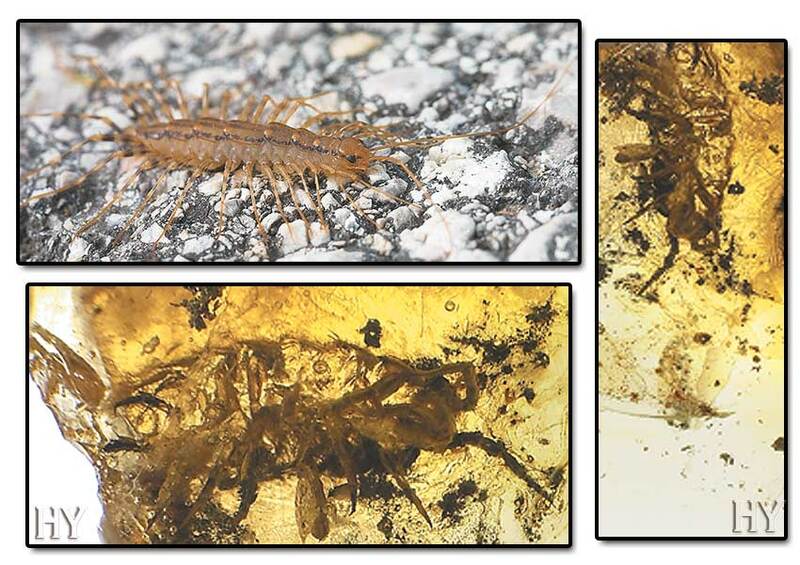 One such proof is the 50-million-year-old fossil centipede in the picture. 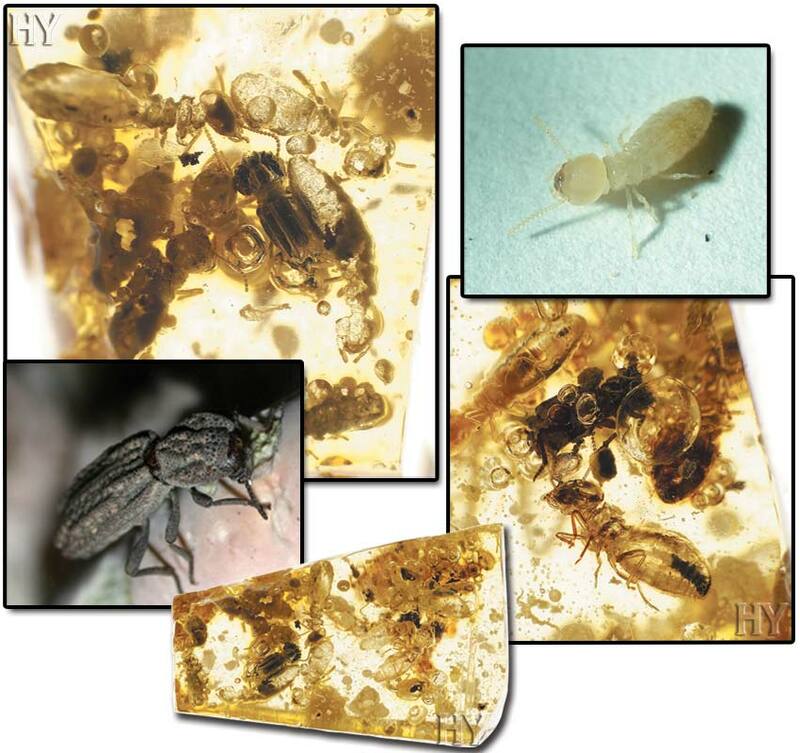 The 50-million-year-old scale insect in the picture has not, as evolutionists claim, come down to us in the present day through evolution. This life form has remained unchanged for 50 million years, and like other living things, it was flawlessly created. Its body was the same millions of years ago as it is now. 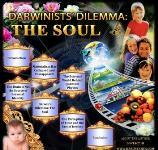 Evolutionists cannot explain why not one of all the fossils they have so far unearthed is a transitional form. The fossilized life forms they discover are all exceedingly regular, with no pathologies. All living things, including ants, zebras, rabbits, birds, flies, wasps, scorpions and crickets, have all come down to the present day completely unchanged. With their pincers, perfect structure and steel-like armor and the poison in their tails that can neutralize their enemies, scorpions are created with enormous detail. Looking at the 125-million-year-old fossil in the picture, you can see that all these features are already fully formed in this scorpion. The shale of the pincers emerging from the side of its head, the legs on the side of the body and the upward-pointing tail with its venom sac have all come down to the present day completely unchanged. Allah has created highly detailed and flawless systems in the scorpion body. For example, owing to its superior sensory system, the scorpion uses the vibrations emitted by its prey and Rayleigh waves to locate it. This system, which can be compared to a highly equipped computer, is one of the proofs of Allah's matchless creative artistry. 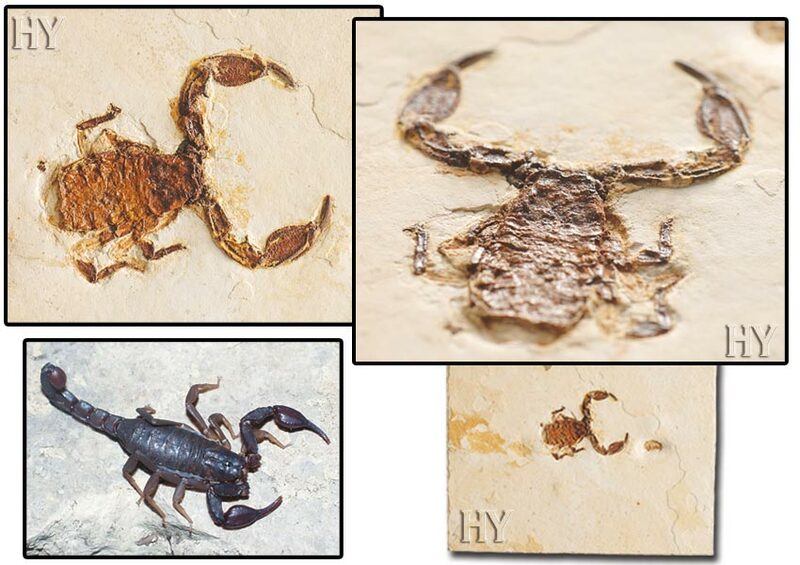 The fact that these features were all fossilized 125 million years ago, and still exist in scorpions today, proves that they never evolved. 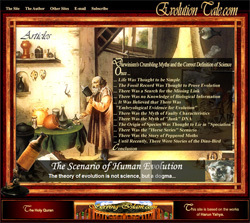 The stasis in the fossil record is indeed the greatest problem facing the proponents of evolution because evolutionists seek the evidence they need for the fictitious process of evolution from the fossil record; yet the fossil record provides none of the expected examples of transitional forms. Furthermore, it shows that no life form alleged to have evolved over hundreds of millions of years in fact ever evolved at all. Just by looking at a few of the details in scorpions you will immediately see that these animals could not have come into being by chance. For example, sand scorpions have a very poor sense of sight, but can locate their prey at night with no difficulty. The sand scorpion has sensitive receptors in its feet that can sense the vibrations made by a butterfly landing on the sand. Scorpions sometimes transfer their poison, which is powerful enough to kill a human being, into their enemies by means of javelins in the posterior parts of their bodies. The carapace that covers their bodies like armor is sufficiently resistant to protect them even against radiation. The human body can withstand about 600 rads of radiation. However, scorpions can withstand levels 40,000-150,000 times higher. All these details were also fully present in scorpions living 125 million years ago. 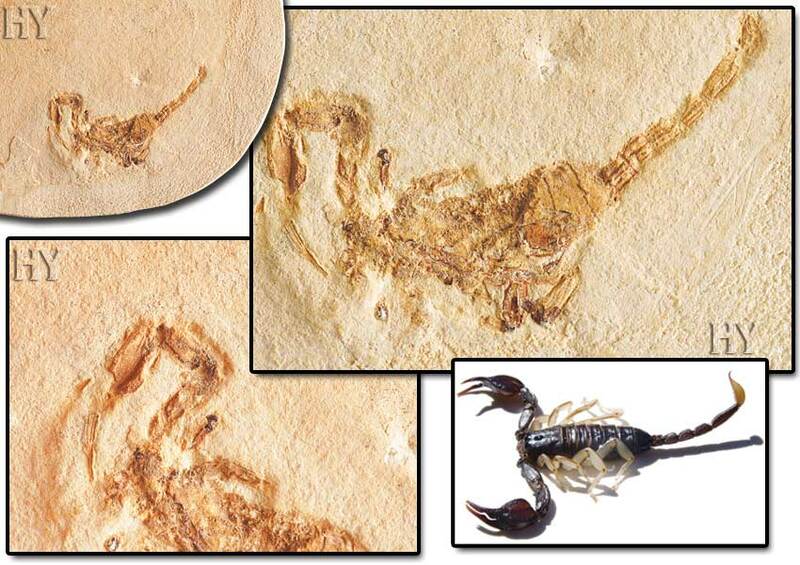 Scorpions existing for 125 million years with exactly the same properties clearly prove that evolution never happened.